Land Transport Authority (LTA), Singapore is exploring the use of automated technology, such as drones, for inspecting underground MRT (Mass Rapid Transit or Singapore’s metro system) and road tunnels. Currently, rail and road tunnels are inspected manually on a regular basis to detect anomalies, such as cracks or water leakage. LTA’s road tunnel inspections also cover rainwater storage tanks and voided slab spaces where utility lines are located. These checks allow LTA to ascertain the health of the tunnel structures so that necessary maintenance can be carried out. However, they require workers to physically comb the tunnels making it a highly labour-intensive process. Moreover, the inspection of rail tunnels can be done only within a very limited number of hours at night, after passenger service ends. The use of automated technologies will improve the accuracy of inspections. Engineers can use the time saved to focus on the analysis of the data captured to recommend any necessary remedial measures. Hence, the LTA has issued a Request for Information (RFI) to seek the industry’s participation in the use of Unmanned Aircraft Systems (UAS) and Unmanned Vehicle (UV) technology for MRT and road tunnel inspections. Participants have been invited to design and develop suitable automated inspection trials in MRT tunnels. They can also develop trials involving UAS, UV or other technology for the inspection of road tunnels. 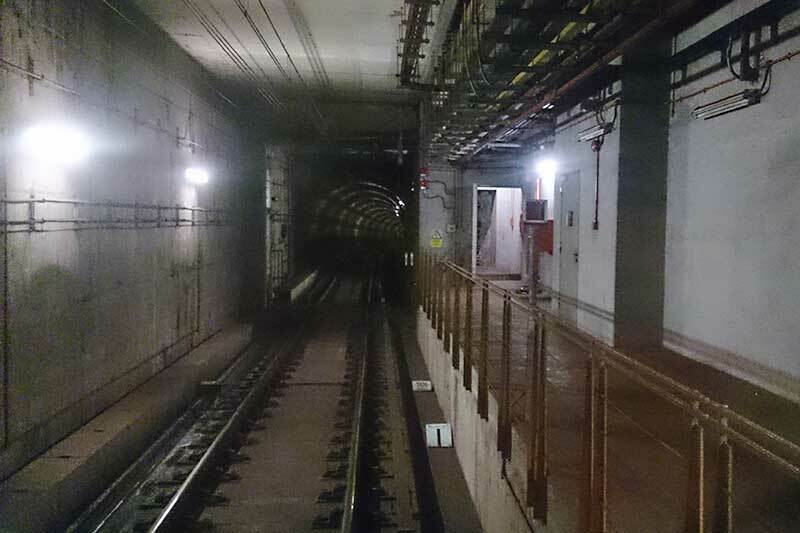 The press release states that trials should incorporate 360-degree video mapping of the tunnels, along with software to automatically detect defects from the video taken and provide their location. The trials will help LTA to evaluate the feasibility and effectiveness of using UAV or UAS technology for routine inspection of tunnels. If found effective, these technologies will be fully deployed for tunnel inspections in the next five years. LTA has already deployed UAS at ten sites on the under development Thomson-East Coast Line to monitor work progress by taking aerial photographs and videos.